After a long wait for many Apple device users, a group calling themselves the “evad3rs” have released an untethered jailbreak for all devices currently running iOS 6-6.1. 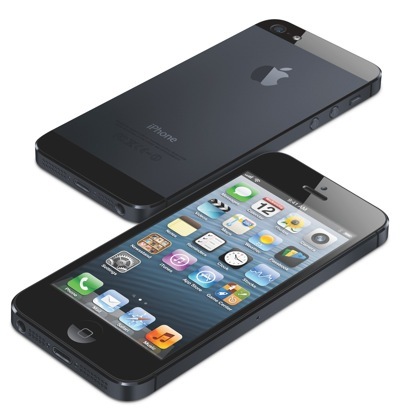 This includes the iPhone 5 and iPad mini models for the first time. Since the early days of the iPhone, Apple has been very strict in the way it controls its product, software and ecosystem, and for good reason. The iPhone and subsequent other iDevices provide a user experience that is arguably better than anything else on the market. That’s great for the average consumer as it makes for an easy to use, yet powerful device. But what about those of us that aren’t the average consumer? What if we want an uninhibited smartphone experience? It’s easy for people to say “just go and buy an Android phone” but some of us want an Apple device, just without the limitations. That’s where jailbreaking comes in. There is no doubt that the Apple app store is filled with wonderful apps; not many would argue that it isn’t the best app store in the world. As with any Apple controlled system though, it has its limitations. The stringent rules imposed on developers mean that many apps get rejected on technicalities and some things are just not allowed. This makes for a quality catalogue of apps but it can be severely lacking in some areas. The Cydia app store which is usually installed as part of the jailbreak process contains all sorts of apps that have been either rejected from the official app store or never submitted as developers know they contain content or functionality that Apple do not allow. This means Cydia apps can often do things that you could only dream about on a non-jailbroken iPhone. It was a long time after Apple released the iPhone that users were actually able to make even the most basic customisations such as changing the wallpaper or setting a custom ringtone. Thankfully these restrictions have long since been lifted but unfortunately it hasn’t really gone any further. Without jailbreaking, iPhone users face an uphill battle to make their device personal to them. With a theming platform called “winterboard”, available through Cydia, users can completely customise the look of their phone; from the app icons right down to the dock and phone dialler style. Functionality tweaks are also available allowing users to change the way things like the multitasking switcher work and adding useful things like quick toggles to turn wifi or bluetooth on and off. There are so many things you can do with a jailbroken iPhone it’s difficult to highlight the best but there are some [tp lang=”en” only=”y”]must have jailbreak apps and tweaks[/tp][tp not_in=”en”]must have jailbreak apps and tweaks[/tp] that every user should try. Once you have reclaimed your phone from Apple’s clutches there really is no turning back. Guest article written by: Joe Jones is passionate about all things to do with gadgets and technology, especially in the world of Apple products. He contributes to a number of websites and also maintains his own technology blog [tp lang=”en” only=”y”]Tech Byte UK[/tp][tp not_in=”en”]Tech Byte UK[/tp]. I have read this article, it is very interesting and i definitely download this jailbreak apps. khadeer recently posted… What is SEO article writing? Thanks for writing this article, Jealbreak was really needed. When I had the orginal 2G Iphone this process was difficult to say the least. Today the process has been stream lined and can be done very easily. The chances of bricking your phone still exist yet it is minimal. I can say without a doubt I am thankful that I have a jailbroken phone. Thanks for sharing hope it grows the Iphone cydia market. Nice and interesting post. I have read this article. I definitely download this jailbreak apps.Thanks. I wonder if there is still an app store for jailbroken phones. Cool article btw. Finally Jail breaking has been released. So long apple Jeal break released I am very happy. As I am a iphone user, it gives me awareness are importance of jailbreaking. It sounds good in technology world.Thanks for sharing. Functionality tweaks are also available allowing users to change the way things like the multitasking switcher work and adding useful things like quick toggles to turn wifi or bluetooth on and off. A non-jailbroken iPhone very boring. You just watch video, listen the music and play free games. Jailbreaking my iPhone and iPad was the best thing I’ve done with any Apple product… when are they going to learn that open source is the way to go! I enjoy the level of personalisation it gives.. for me it made the product even better because of it. Sizwe recently posted… How to Waste Your 2012 Christmas Bonus! I have heard about jail breaking but never found the need too. I feel a little bit the same way. Although my AppleTV is jailbroken. But I’m confident that iOS 7 will be a fresh breath of air for iPhone users, otherwise Android is going to get too far ahead of Apple, if they don’t make some huge improvements with iOS 7. I have an iPhone 5, but I have no idea how to JailBreak it. One of my friend told me to jail break my iPhone to get paid apps for free, and I didn’t do it. I would be most happy if someone told me the method I can JailBreak my iPhone 5. I agree with you Abishek! It’s good that you can do anything to your phone but if it’s a brand new Android phone then it’s better for you to wait for the expiration of your warranty before jailbreaking. Jailbreak is like drug, after using it, you can’t stop even it harms in some way. I jailbreaked by Ipad which got crash sometimes. So I have to factory restore it. Now I found that hunting free apps is also fun without jailbreak. You can try Appshopper. It really is nice just to be able to do what you want with your phone. You drop hundreds of dollars on it, so why not do with it what you will!